Puna Gardens is a small family farm on the Big Island of Hawaii. 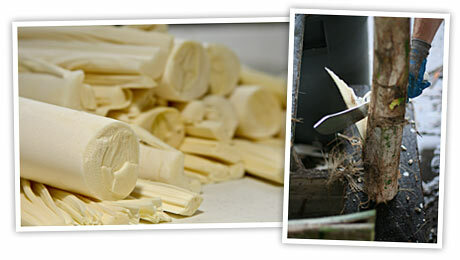 Our current focus is on producing Heart of Palm. We dependably sell top quality product, cut fresh and shipped promptly. Read more about us or our hearts of palm. Try our fantastic Heart of Palm! Each time Puna Gardens takes the role of the customer, we expect honest treatment, and the best quality possible for our money. It is this ethical philosophy that we apply to our customers. We dependably sell top quality products cut fresh and shipped promptly. We take pride in our work and we make an effort to ensure that our customers are satisfied. Simply put, we don’t put anything in the box we wouldn't eat! We have close to 18,000 palms in the ground, or about 12 acres. When we harvest our palms, we ensure they are clean, wrapped in food grade plastic and shipped FedEx to our customer’s door. This means the palms reach their destination as fresh as possible, giving our customers maximum shelf life. 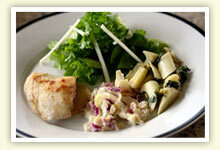 Check out our Heart of Palm recipes or send us some of your own!